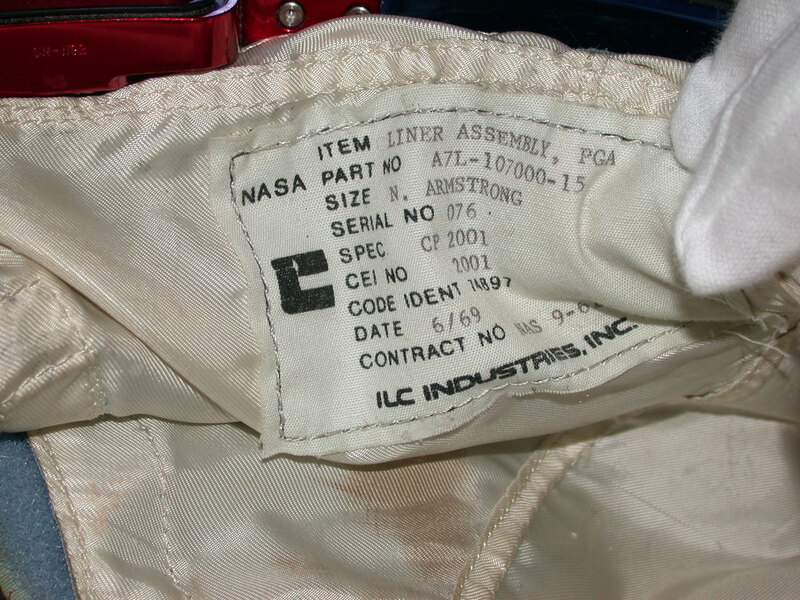 LM-12 NASA photo S69-38889 identifies Armstrong's lunar EVA suit as PGA 076. 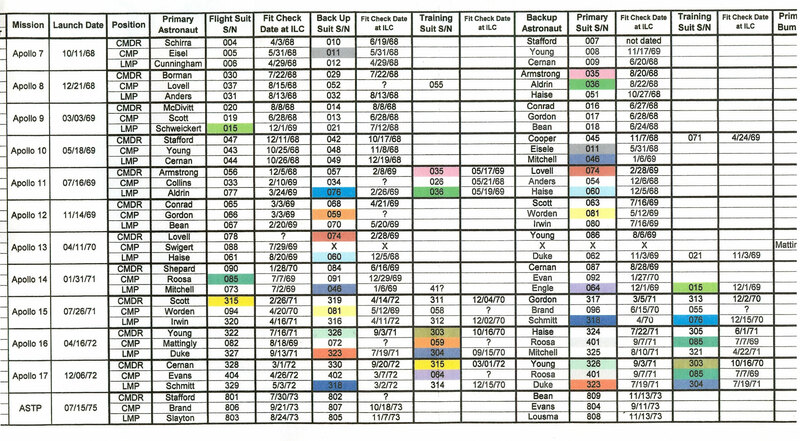 DG27 The NASA Document "Apollo Missions - Flight Equipment Inventory" lists Armstrong's flown suit as s/n 056. LM-12 The Apollo Lunar Surface Journal shows Armstrong's flown suit with an 063 label. There are lots of great post-flight photos of the suit here. kr4mula Technically, you're both right. Armstrong's flight PGA had the 056 serial number, but his ITMG had the 063 serial number. LM-12 The Neck Ring photo in the ALSJ shows a partially hidden label inside Armstrong's suit just below the neck ring near the left shoulder. The serial number is hidden. I guess that must be the 056 label. LM-12 Thanks for that explanation. 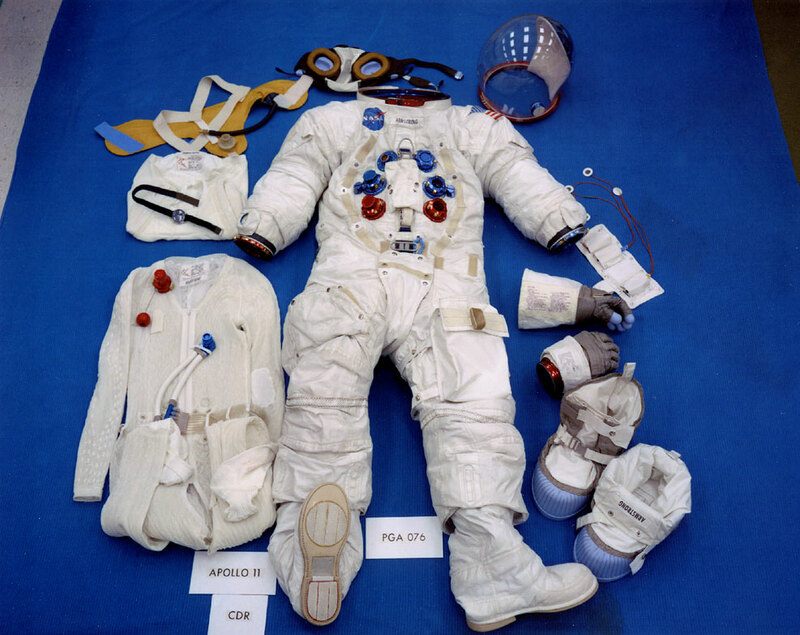 Where is the 056 label located on Armstrong's flown suit? LM-12 A similar photo identifies Buzz Aldrin's flown Apollo 11 suit as PGA 077 which I believe is correct. Note that both suits do not have the mission patch yet. Kocmoc I just wanted to confirm what others have said. 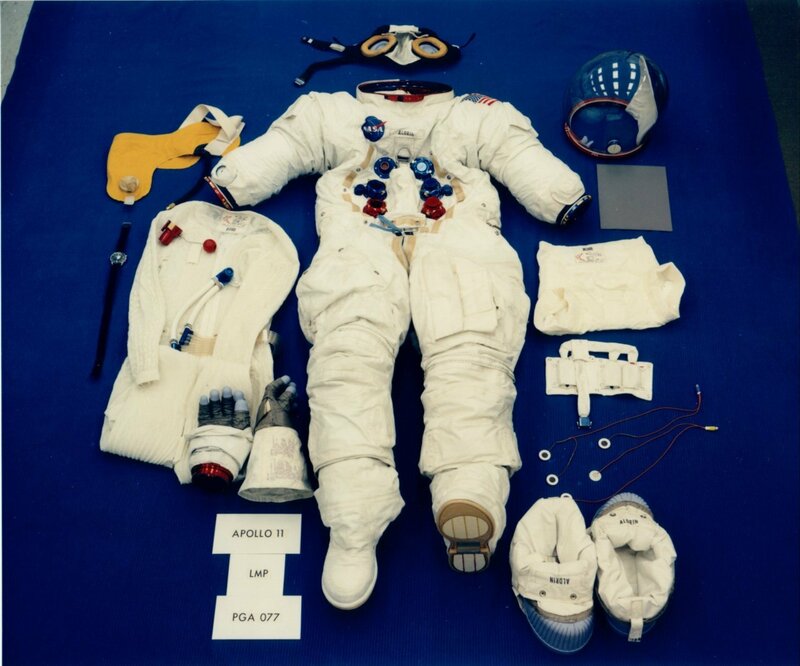 The S/Ns for Neil Armstrong's flown suit are: PGA Serial # 056, ITMG Serial # 063. LM-12 The LEVA helmet is missing in both pre-flight suit photos.